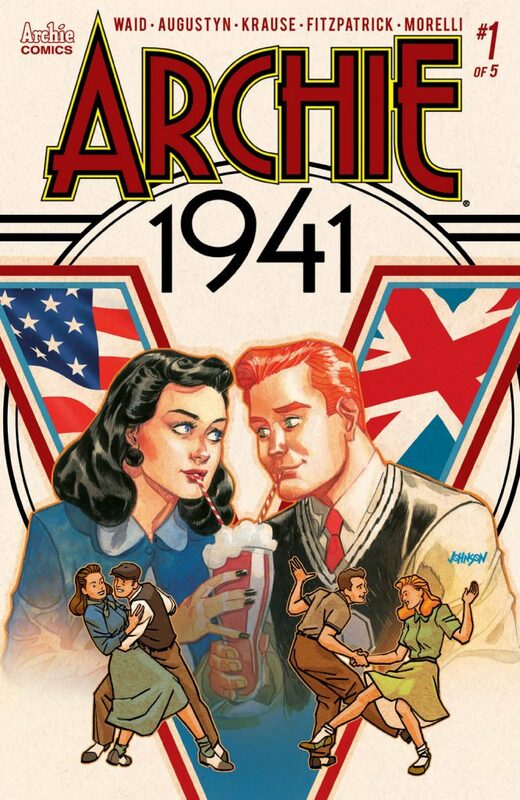 Archie Andrews and the gang have seen it all since the characters made their comics debut in 1941, and this fall they’re going back to their roots in a five-issue mini-series set in Riverdale during World War II – ARCHIE 1941. 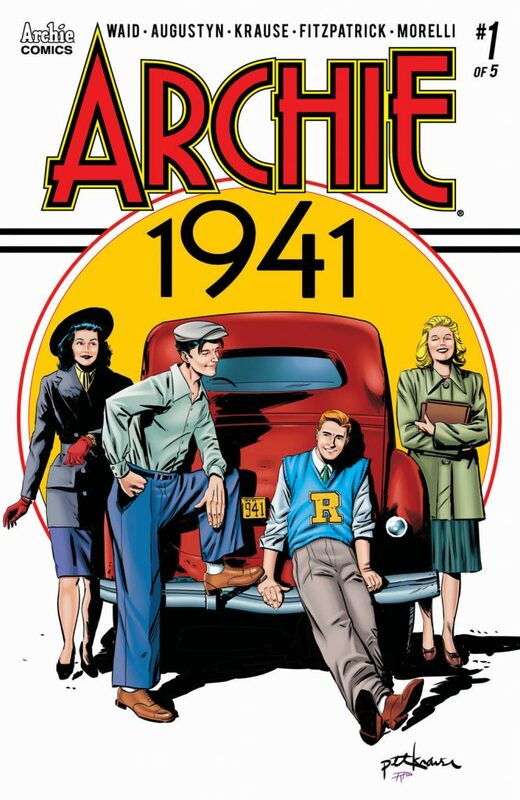 Written by comics legend Mark Waid (ARCHIE, Captain America) with longtime collaborators co-writer Brian Augustyn (The Flash, JLA) and artist Peter Krause (Insufferable, Irredeemable) with colors by Kelly Fitzpatrick (ARCHIE) and letters by Jack Morelli (VAMPIRONICA), ARCHIE 1941 finds Riverdale dealing with the impact of the impending conflict on the small town and in the personal lives of Archie, Betty, Veronica, Jughead, and Reggie Mantle. 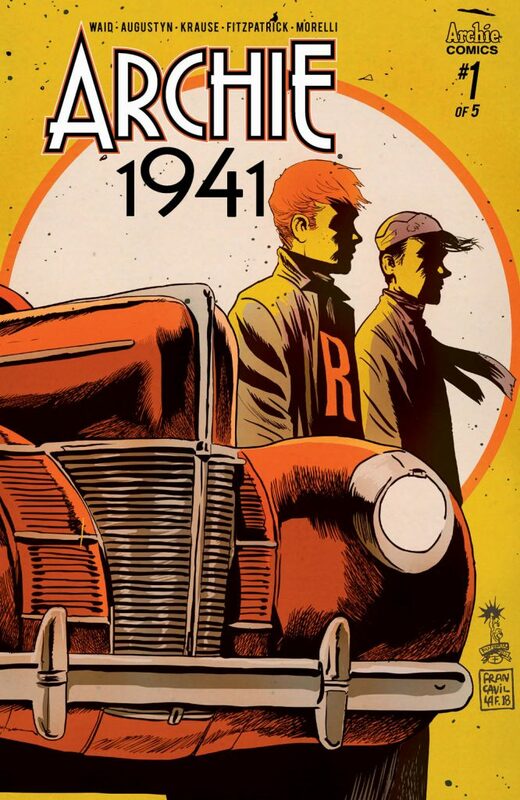 ARCHIE 1941 #1 hits comic shops and digital platforms September 12, 2018 and features variant covers by Sanya Anwar, Francesco Francavilla, Dave Johnson, and Aaron Lopresti. THE HISTORIC, GROUND-BREAKING MINI-SERIES STARTS HERE! 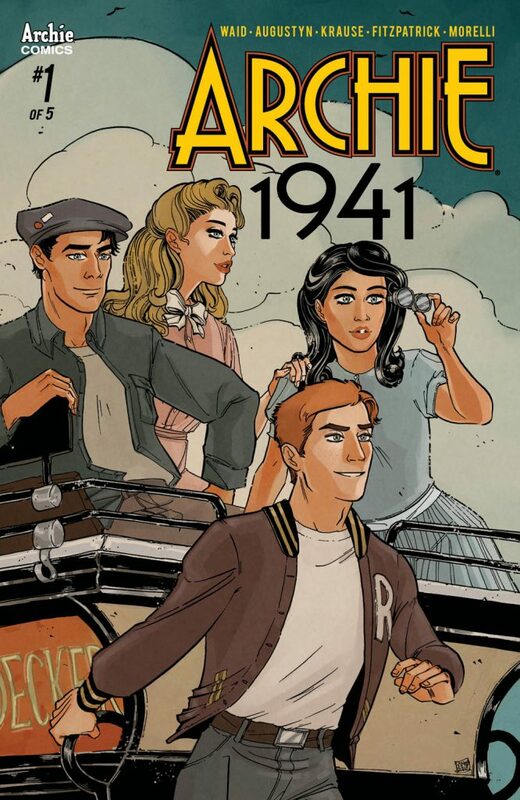 Archie has been around for over 75 years and has been through many significant moments in time, but never before have we seen the characters take on real-world events as they unfold. 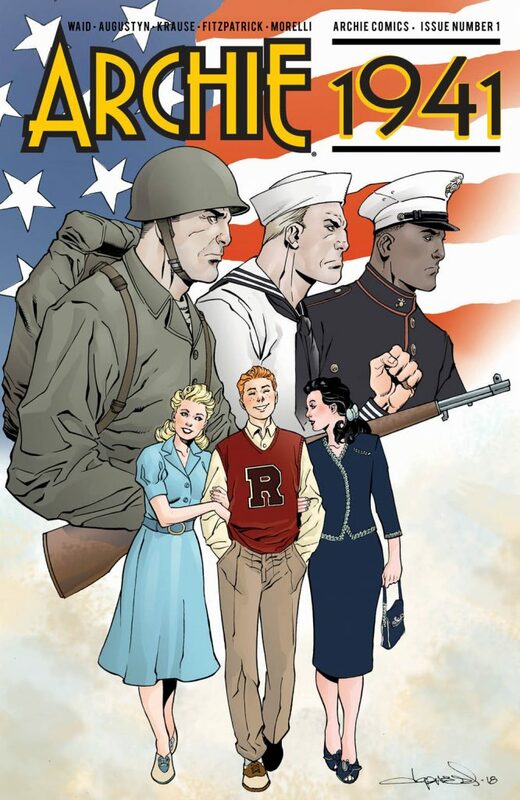 WWII is looming and Archie and many young men from Riverdale are close to enlistment age. If you’re a Riverdale teen, how would you cope with a looming world-changing event? Join the writing team of MARK WAID and BRIAN AUGUSTYN along with artist PETER KRAUSE for the all-new mini-series that is sure to have everyone talking! Holy comic crossover event – the ARCHIE MEETS BATMAN ’66 #1 preview is here!